Crafters will really have a fantastic day with this cute DIY Sock Kittens idea! Gather unused small socks from your bedroom’s drawer and you will enjoy making this adorable cat. Crafting a sweet kitten face is a perfect handmade keepsake for your kiddos and for cat-lovers. Making sock animals like kittens is exceptionally fun to do, especially with friends, and you don’t have to be skillful to create one! Unlike other craft projects like knitting or crocheting, it takes some knack to make one and also it is also time consuming but with DIY sock kittens, as long as you know how to sew, you can make one. 1. Cut out the pattern of the kitten’s body. 2. 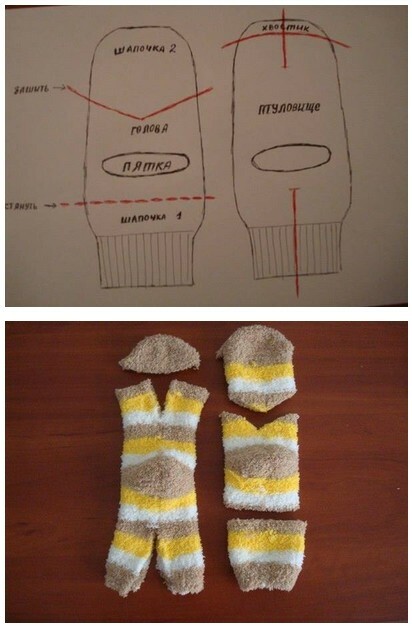 Fill in the stuffing material inside the unused socks and sew all the sides. 3. If you are done sewing all the sides of the kitten’s body and face, it’s time to attach the googly eyes. 4. To make it more fantastic, use black thread for putting the kitten’s whiskers. 5. You can also put a nice red ribbon on top of the head to make it more adorable. 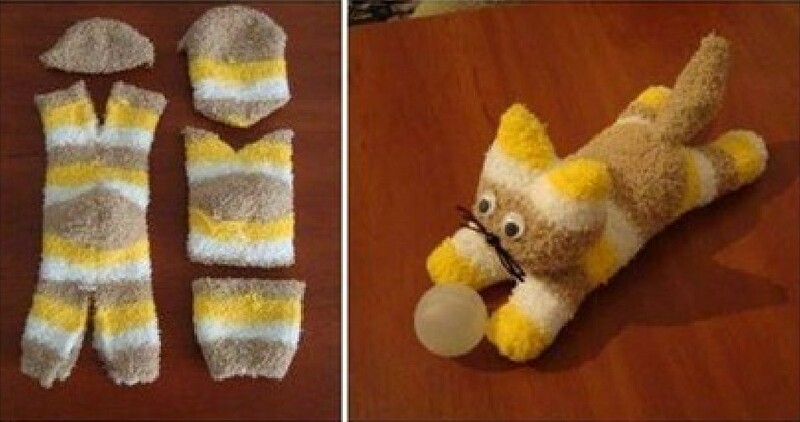 This DIY sock kitten will surely awe your kiddos and cat-lovers will delight with its awesomeness. You can also sell these cute sock kittens to your neighbors and who knows, it might be the start of your profitable business once wholesalers learned that you can craft different sock kittens. Business-minded people are always looking for new stuff to offer to people and they market products that are exceptionally unique. Your creative hands will let you create various DIY sock kitten designs and this will draw more uniqueness!